Are you tired by the ever-present information, stressful job, do you need to detach yourself from reality? This trip is for you! A week on a boat where You and kiting are the only things that matter. As part of the Progress Camp we will conduct workshops focused on jumps – you’ll finally learn how to properly pop, jump high and land softly. We will also correct your body position on the board and move on to further tricks – backroll, frontroll, jumps with grabs, transition, darkslide etc. If you’ve never tried foiling before now you’ll get the chance, and additionally you’ll be able to try out some new gear. Views, turquoise water, dolphins and unmatched riding conditions, so wonderful and so close! Ride in steady winds and perfect conditions! Riding there on flat lagoons and in steady, even winds you’ll make tremendous progress, and thanks to the JUMP CLINIC, you’ll be able to learn how to jump higher and land softly! A week on a boat far from civilization, spent actively with a bunch of fun people, surrounded by nature, will finally allow you to properly rest. The spots we will take you to are a kiteboarder’s paradise. Mirror flat water, huge empty spaces, turquoise and warm sea – need more arguments? Upwind and downwind trips, kiting between islands with dolphins, manatees and sea turtles and the best wind in all of Egypt. The likelihood of wind is much higher on the islands than on land due to their placement and thermal effects. In June you can expect 90% of windy days! Dolce Vita is a 38-meter, luxurious motor yacht. There’s 13 2-person cabins, each with a bathroom and air conditioning. 2 cabins on upper deck with twin beds, 2 with double beds, 1 cabin with a double bed on the main deck, and 8 cabins with double beds on the lower deck. The Chef serves delicious and fresh meals based on fish, vegetables and seafood. The price includes full boarding – breakfasts, lunches, dinners and non-alcoholic drinks. JUST FINISHED YOUR COOURSE? NOT FEELING CONFIDENT ON THE WATER? This trip is for you! On flat water lagoons we’ll correct your body position, help you return to the place where you took off from and make smooth transitions. And when you’re ready we will start practicing first tricks. PROGRESS CAMP DURING KITE SAFARI IS INCLUSIVE! During the workshops with Maciej Zimas Zimowski, IKO Coach, you can discover kiting on anew! Zimas has prepared a special set of tricks, which you’ll be able to learn on flat water in perfect conditions. 2h of workshops a day, Progress Camp inclusive with your trip! Kitesafari is the place of greatest integration! This is where friendships that last a lifetime are made. Honest conversations, parties and dancing under the stars, dinners together, fishing and swimming with dolphins. These trips have a one-of-a-kind atmosphere, you have to be there to see it for yourself! This package is for every kitesurfer. We are on the beach for you and we’re taking care of your security. Assistance – we know you’re on the water! And a super cool SUEÑO rash-guard for you to ride in! Arrival in Egypt at Hurghada Airport and transfer to the Marina (around 30 min), If everyone will make it to the boat before 3 PM we’ll set out to sea on the same day and head for our first spot, if not, we’ll set out as early as possible. We will be discovering northernmost islands and spots of the Red Sea. There’s no tourist traffic there which means we will be alone with wonderful nature. There, the reefs did not lose their hue, curious dolphins come up to play and fish gleam with a thousand colours. At that time, we will be conducting kite classes and courses. If the conditions and later locations allow, we will organise a downwinder – a group kite trip going downwind. Certified IKO courses! Learn with the best! 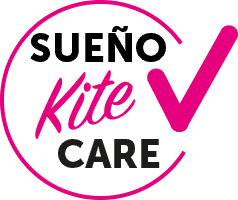 Maciej Zimowski is head of training in SUEÑO, licenced IKO trainer and coach, who, based on his 18-year experience in training water sports will ensure you have a safe and effective launch into the world of kitesurfing. JUST FINISHED YOUR COURSE? NOT FEELING CONFIDENT ON THE WATER? PROGRESS CAMP DURING KITE SAFARI IS INCLUDED! Choose the course for you! FOR WHO: For anyone who finished basic training and I don't not feel confident yet. For anyone who needs refresh the acquired knowledge or want to fill in the gaps. Please arrive to Hurghada by 13 o’clock on Sunday 9.06, otherwise we will not be able to leave the marina on time. We can help you to find the best flight connection. Prices may be subject to change due to changing airfares and currency exchange rates. •	Wetsuit: not needed (or shorty). •	Boots (shells or reef fragments might be found on the seabed). For anyone who finished the starter course and is not feeling confident. For anyone who wants to refresh their knowledge or fill some gaps. 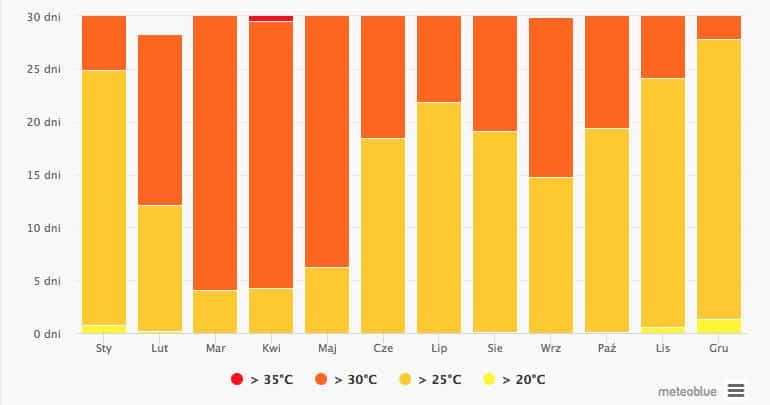 Dla każdego kto ukończył szkolenie podstawowe i nie czuje się jeszcze pewnie.